Show by Rock voiced LINE stickers! 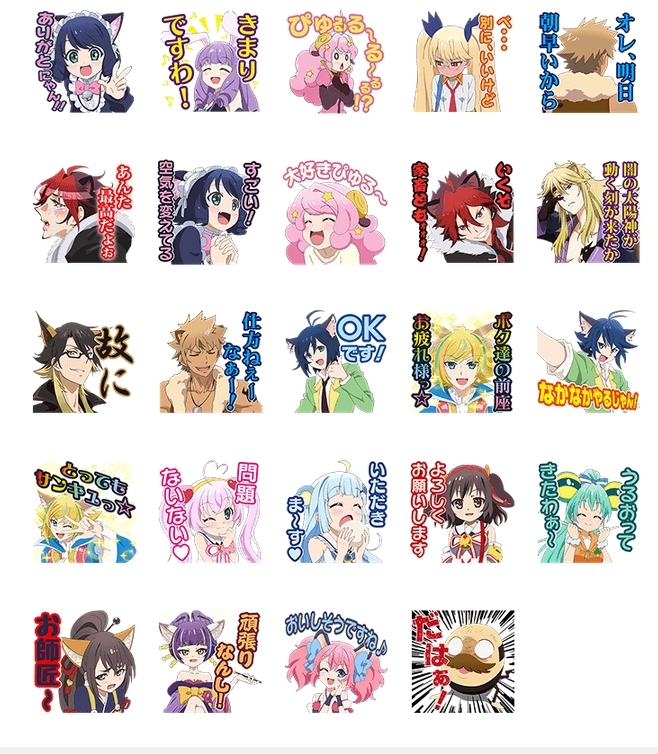 The messaging application LINE today released a set of stickers featuring characters from Show by Rock’s Plasmagica, Shingan Crimsonz, Trichronika, Criticrista and Tsurezurenaru Ayatsuri Mugenan bands. And each sticker is voiced!